St Anne is considered a Saint because of her role as the mother of Mary, grandmother of Jesus Christ, and as a devout and pious servant to the Lord God. 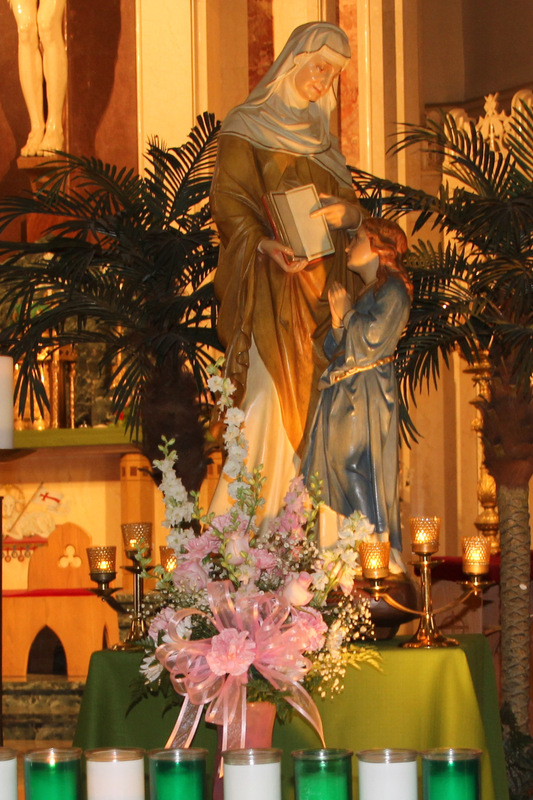 All are welcome to join us in church for any or all of the Masses celebrating our annual Triduum to St. Anne: July 26 (Thursday) at 8:30 a.m., July 27 (Friday) at 8:30 a.m., and July 28 (Saturday) at 4 p.m. A relic of Saint Anne will be in church. 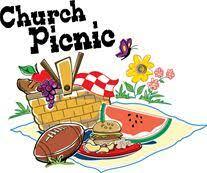 Sunday, August 5: Parish Picnic with St. John Gualbert at Cheektowaga Town Park. Starts at noon, food served at 2. Includes Italian sausage with peppers and onions, roast beef sandwiches, mini meatballs in sauce, homemade potato salad, mixed green salad, bistro salad and fruit platter. Coffee and tea provided; bring your own beverages and snacks. Catered by Andiamo Buffalo Takeout Bistro. Tickets available in church vestibule before/after Masses and also by calling the parish office. $10/person; no charge for children 12 and under. If you wish, bring a dessert to share. 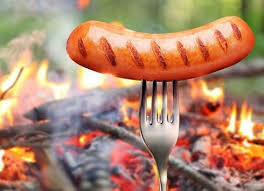 Sunday, August 12: Parishioner Appreciation Hot Dog Roast following 10:30 Mass. Wander back to the yard and for a buck get a grilled hot dog/chips/beverage. Please join us…all are welcome!! Tuesday, August 14: The Feast of the Assumption of the Blessed Virgin Mary commemorates the death of Mary and her bodily assumption into Heaven, before her body could begin to decay—a foretaste of our own bodily resurrection at the end of time. Because it signifies the Blessed Virgin’s passing into eternal life, it is the most important of all Marian feasts and a Holy Day of Obligation. 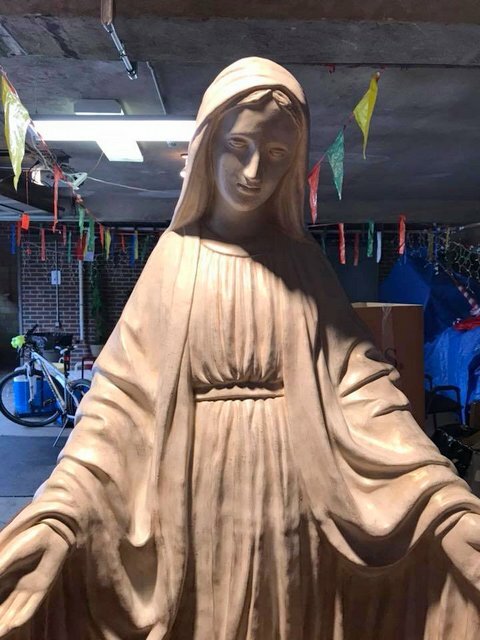 Join us for our Vigil Mass of the Assumption of the Blessed Virgin Mary, celebrated by Bishop Malone, at which time our new Mary Statue will be blessed. Mass is at 5; coffee and baked goods to follow. 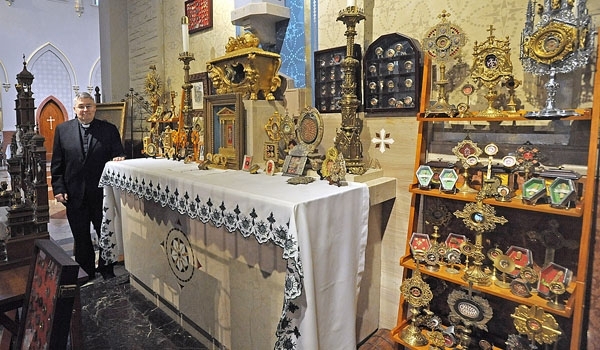 Thursday, August 23: Join us on a visit to the Reliquary at St John Gualbert Church, where Fr Mike will present information on the large (over 1,100!) relic collection. We will gather at St John Gualbert at noon, with the presentation beginning at 1. Refreshments to follow. Phone Dolores Slazak: 675-2420, to sign up for this interesting experience. LOOKING AHEAD TO SEPTEMBER…save the date of Friday, September 14, when we will hold a Meat Raffle at the Father Justin Knights of Columbus Hall in Cheektowaga. We are working on some very special prizes! Open to everyone, and as you know, it is great fun to attend a Meat Raffle with a group of family and friends. Further details soon on our website and Facebook pages!